The November issue of The News Leaf is here! The News Leaf is a publication of the Phoenix Family History Library. 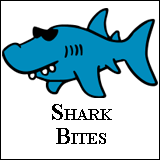 Click here to see the issue. This issue offers information on the ever-growing record collection at FamilySearch.org and how to browse images on the site; information on the upcoming 1940 U.S. Census and how you can sign up now to index the census; Pros and Cons of uploading your family tree on the web, as well as some helpful genealogy hints. There's also an inspiring article called "Blessings for My Ancestors, Blessings for Me," experts from an article by Kim Crenshaw Sorensen published in the Ensign, which is just in time for the Thanksgiving holiday. 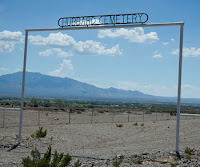 When one of my favorite aunts passed away a few years ago (Ruth Anna Butler King), we traveled to Central, Arizona for her funeral services and burial at our family cemetery called Hubbard Cemetery. 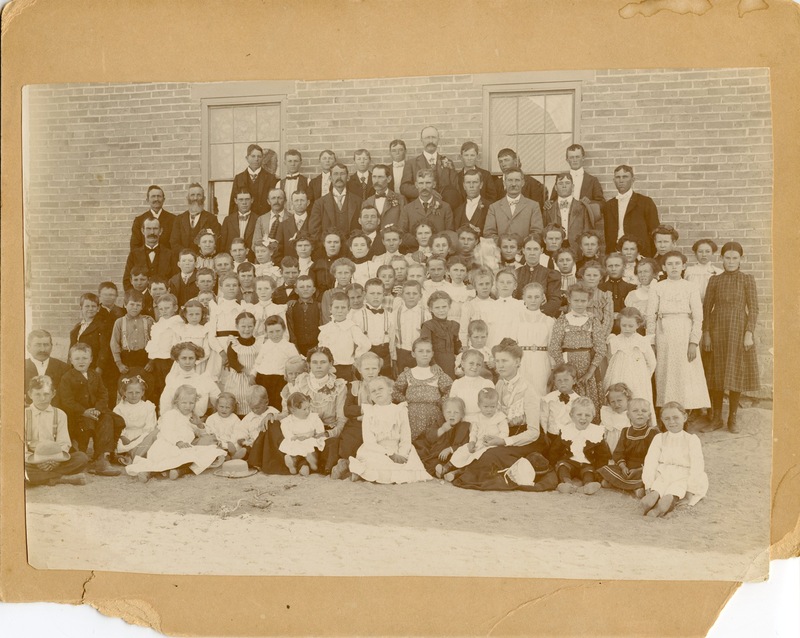 While at the church building where the funeral services were held, I saw a familiar photo on the wall: a 1902 photo of the Central Ward Sunday School. I had an original of this photo at home, and my only knowledge of this photo was that my blonde-haired Grandmother Mary Anne Adams Butler (7 yrs) was hiding behind my other Grandmother Elena Halladay Ellsworth Morris (21) (sitting on the ground, first row left of center in the photo). Little did they both know they would later be related via marriage of their children - my mother and father. 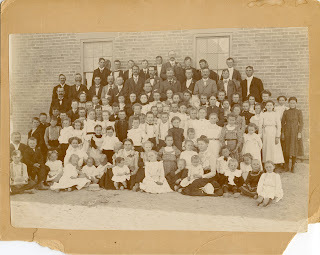 The best part of seeing this photo on the church wall was that someone had taken the time to identify ALL of the people in the photo! What an excellent find for our families, as we were able to now identify other family members in the photo. Thanks Mark for telling us about Zoom.it, plus providing instructions on how to upload this to our blogs. Now, just to find a way to tag everyone in the photo. I don't know if Flickr and Zoom.it will allow tagging (like Facebook), or how many tags if at all. Any suggestions? I would love to hear your tips! 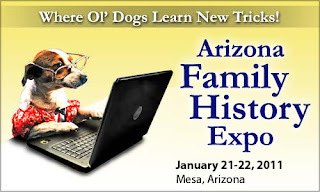 If some of you don't know, I am also the newsletter editor of the News Leaf, a publication of the Phoenix Family History Library where I volunteer. If you like to read genealogy newsletters, maybe you might like ours! 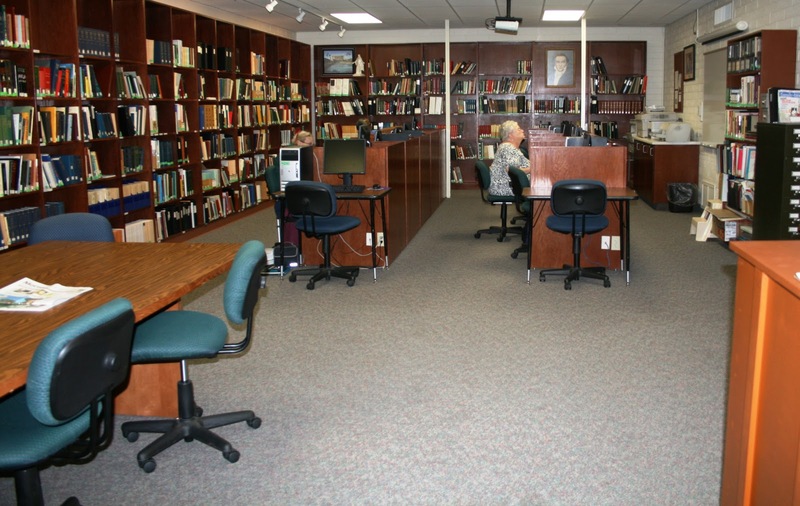 History: This library was the dream of Directors Gene and Janet Carruth, created from three separate small family history libraries of the Phoenix East Stake and the Phoenix Stake of the Church of Jesus Christ of Latter-day Saints. 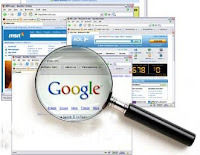 Technology: A wide array of technology to make your visit beneficial. Online Databases: All FamilySearch databases and 100’s of genealogy websites; free access to pay sites such as Ancestry.com and others (via the FHL Portal): HeritageQuest, World Vital Records, Find My Past, Godfrey Memorial Library online databases (incl. NewspaperArchive.com), Footnote.com, etc. Software Programs: RootsMagic, Legacy and others. Printed Resources: Massive collection of “How-To” reference materials and over 5,000 genealogical reference books. 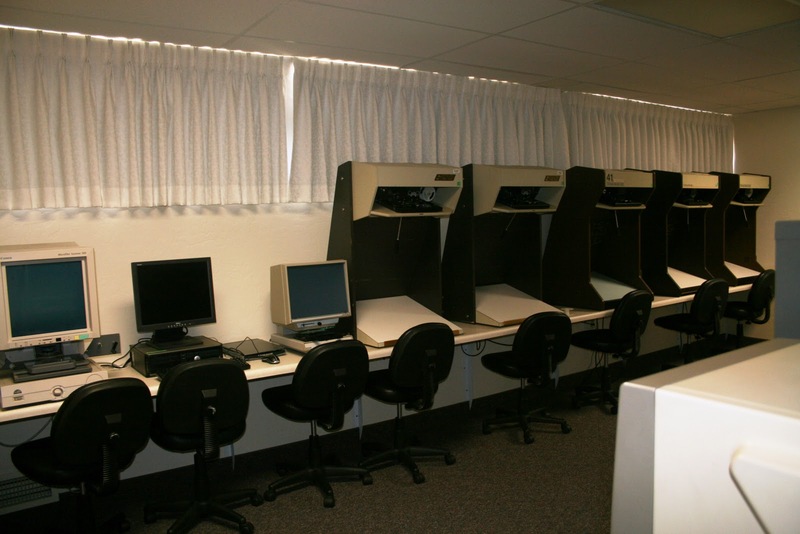 Microfilm: Extensive permanent collection of microfilm and ability to order additional films from the SLC FH Library. Consultants: Several Consultants on staff at all times to help you. Personal Research or Training Classes available for you or your group by appointment. Hours: Wednesdays and Thursdays from 10 to 9pm, and on Saturdays from 12-5pm. If you would like to volunteer, please contact Gene Carruth at the number below. With more volunteers, we can increase the hours that our library is open! 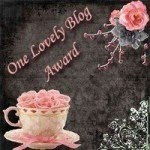 Much to my surprise, I was recently awarded the "Ancestor Approved" Award from a fellow blogger, Sassy Jane Genealogy. (Thank you Sassy Jane!) The "Ancestor Approved" Award was created in March of 2010 by Leslie Ann Ballou of the blog Ancestors Live Here as a way to show how much she appreciates and enjoys "blogs full of tips and tricks as well as funny and heartwarming stories...."
1. I was humbled to learn that my ancestor Nancy Jane McFerren, at 36, was left a widow with 7 children just two days before arriving in the Salt Lake Valley via handcart (and by ship from Ireland). Her husband, John McCleve, had died two days earlier at Bear River. She also had come to Utah via the Perpetual Emigrating Fund at the cost of $382.41, which needed to be repaid. My Mom hails from this line. 2. Nancy Jane McFerren later married David Ellsworth, and they had a few more children. 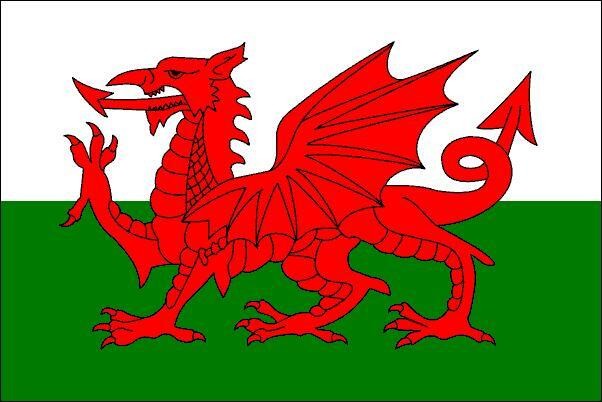 My Dad hails from this line. If you hadn't noticed, the surprise is that my Mom and Dad are related via Nancy Jane McFerren. 3. 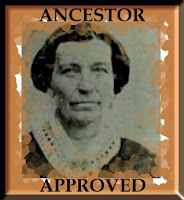 I was definitely enlightened when I wrote about ancestor David Edward Adams in a blog article. He was 5 years old when he came to Utah with the LDS pioneers, hailing from Northampton, England. He and his brother Edward walked most of the way. 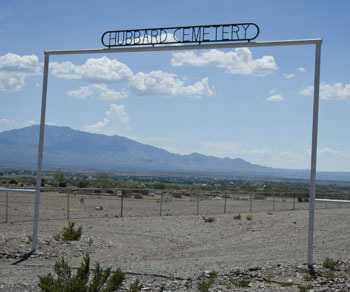 At age 25, he was called by President Brigham Young to help colonize Arizona. He had been courting Caroline Henrietta Lind at the time, but she wouldn't accompany him unless they were married. I was enlightened and humbled to learn that at 25 years old, he had to sell land and property he had purchased, buy mules and a wagon, buy a year's supply of provisions and farm implements, and head off to Arizona with his new bride, all within two weeks. 4. 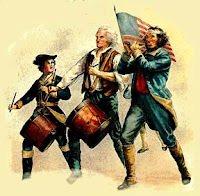 I wrote a blog article on some of my ancestors who served in the Revolutionary War, and I was definitely enlightened. One was a drummer (John Byam). One furnished supplies in Virginia and was recognized for his patriotic service (Stith Parham Sr). And one deserted his family and started another, only later to be discovered when he applied for a pension (Israel Ellsworth Holliday aka Halladay). 5. I always felt sorrowful for my great grandmother, Merab Emma "Belle" Lee (Morris), a daughter of polygamist John Doyle Lee and 18th wife, Anne Gordge. Sorrowful because Belle was abandoned by her mother and was raised by another wife, Emma Batchelor. Sorrowful because after her father was executed for his part in the Mountain Meadows Massacre, the Lee children were rejected, refused admittance to clubs, kept out of offices, and were never considered on the same social level as others. Children in lower grades could not join in the games at recess. 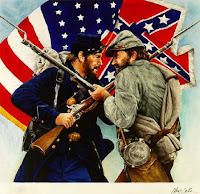 And to think that same hatred was expressed to my own father when he was told: "You're part of that Lee family - you have that bad Lee blood." In my next post I'll finish the remaining five things that surprised, humbled or enlightened me about my ancestors. Then comes the joy of sharing this award with ten of my fellow bloggers! I'll announce those names in my next blog post as well. 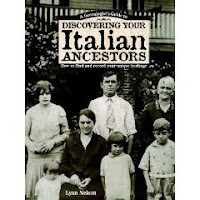 Hopefully through your genealogy research you too have found inspiring ancestral stories that give you a sense of who you are and how you came to be part of a great and wonderful family.